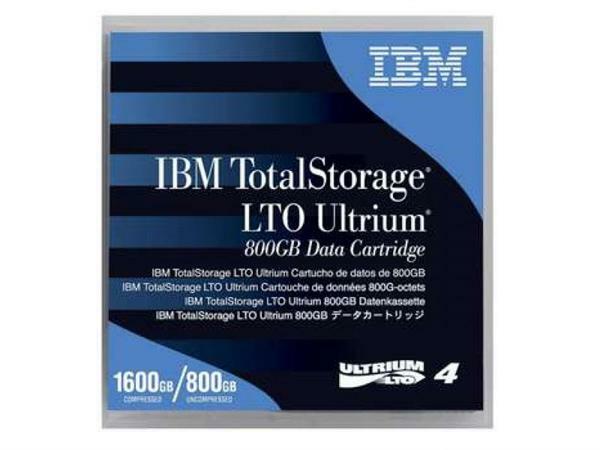 IBM LTO ultrium cartridges have been optimized and tested extensively for use in IBM LTO tape drives and libraries to help maximize performance, minimize data loss and improve data longevity. They are designed to withstand rigors of normal use in stand-alone and automated environments. Each cartridge is embedded with an LTO Cartridge Memory (LTO-CM) chip which is designed to enable fast, simultaneous transfer of cartridge-dependent data with tape drives during media load and unload cycles. 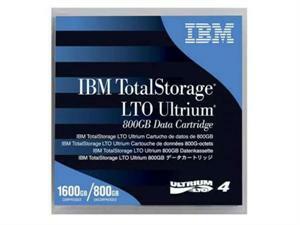 The gray cartridge color helps distinguish it from previous generations of IBM LTO Ultrium Media. Install any fourth generation drive, and start backing up information. LTO-4 is quality decision for safe preservation of sensitive documents. Peak performance (in compression) reaches up to an unbeatable speed of 240MB/s. Low noise level and excellent stability with IBM 95P4436 cartridge. Strong coating protects the tape surface. Fine metal particle formulation and reduced risk of damage for offsite transporting and daily routine media handling. Reliability does not degrade after repeated use. Incorporation of thinner base film has helped to increase its compactness. Greater data accuracy and fast automated/manual operations. ©2019 Data Tech Store, All Rights Reserved.